Acceptable. Used-Acceptable. Cover abit worn. Ships from UK in 48 hours or less (usually same day). Your purchase helps support the African Children's Educational Trust (A-CET). Ex-library with wear and barcode page may have been removed. 100% money back guarantee. We are a world class secondhand bookstore based in Hertfordshire, United Kingdom and specialize in high quality textbooks across an enormous variety of subjects. We aim to provide a vast range of textbooks, rare and collectible books at a great price. Through our work with A-CET we have helped give hundreds of young people in Africa the vital chance to get an education. We provide a 100% money back guarantee and are dedicated to providing our customers with the highest standards of service in the bookselling industry. I thoroughly enjoyed this book! It really speaks to the real-life struggles of "the Help" of that era in a non-political, truthful way. Although this story is fiction, the ideas that comprise it are not. It is a beautifully told story of a time when life was not fair for all, and a reminder to us to never tread those paths again! My husband and I read books to each other and this one was so much fun...with the accents and picturesque southern way of saying things. Being from Canada I had only the news rendition of the black/white conflict so in that way it was very informative as well. The characters were so well depicted, we had trouble putting it down until it was finished. We vowed we would not see the movie until we had read the book. The movie did not come close to the book. writing what needed to be said. This is hands down one of the best books I've ever read. Great story, great characters, great writing. The author manages to tell an engaging story of several women, some white, some black, in the early 60's. The background of the civil rights movement is important, and she gives some devastating glimpses into the misery that gave rise to it. BUT, amazingly, she manages to counter the depressing aspects of the story with lighter, positive moments. There are some really very funny incidents and, overall, it's a hopeful, uplifting book. 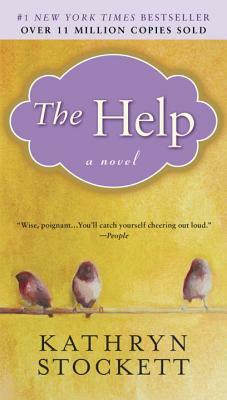 My own family is an amalgamation of races, and the black, as well as white, readers enjoyed "The Help" immensely!